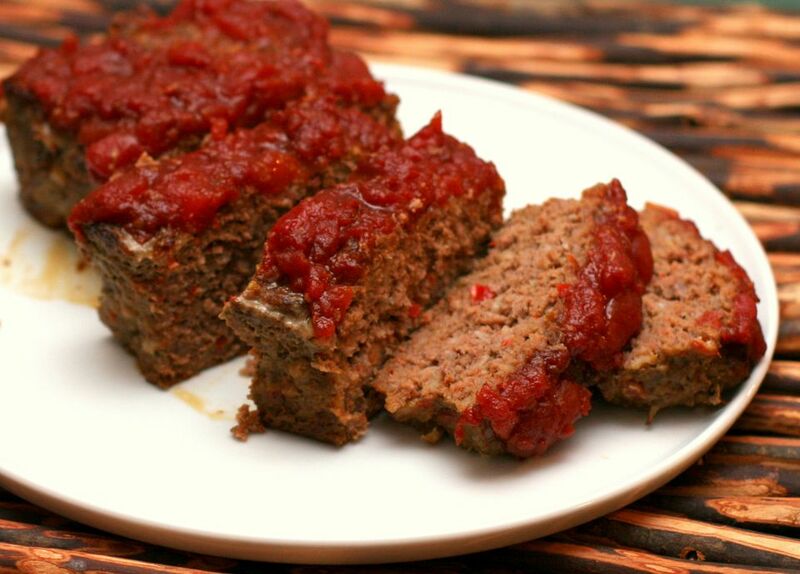 This is an old-fashioned favorite meatloaf recipe made with lean ground beef, chili sauce or ketchup, oats, and other ingredients and seasonings. If you use all ground beef, use a ratio of 85/15; it makes a flavorful and juicy meatloaf that isn't super fatty. Or choose ground beef labeled "ground chuck" or " ground round." Fat adds flavor, but it all doesn't have to stay in the loaf. Use a special meatloaf pan or insert to keep the loaf from resting in the drippings. Heat the oil in a large skillet over medium heat. Add the chopped celery and onion; cook until the vegetables are tender, or for about 7 to 9 minutes, stirring frequently. In a large bowl, mix ground beef or beef and pork mixture, oats, chili sauce or ketchup, Worcestershire sauce, salt, beaten egg, celery and onion mixture, and the water or milk. Pack the meatloaf mixture into a 9-by-5-by-3-inch loaf pan or shape it and bake it free-form in a 9-by-13-by-2-inch baking pan or 10-by-15-by-1-inch jelly roll pan. Bake at 375 F for 1 hour. Using 2 spatulas, carefully move meatloaf to a serving plate and slice. If possible, use fresh ground beef that has not been frozen. Freezing and then thawing reduces some of the natural juices in the beef. If you do use frozen ground beef, thaw it following the package instructions just before making the meatloaf. To check a meatloaf for doneness, use a reliable instant-read thermometer inserted into the center of the loaf. Ground beef, pork, and lamb must reach 160 F. For ground turkey or chicken, look for a minimum safe temperature of 165 F.
Make two loaves and freeze one for a future meal. Bake an unthawed frozen meatloaf for about 2 hours, or until it reaches 160 F (165 F if there is poultry in the loaf). Add 1 cup of shredded cheddar or pepper jack cheese to a meatloaf for extra flavor and moisture. Sneak some vegetables into the loaf. Add about 1/2 cup of shredded potatoes or carrots, or add some leftover mashed potatoes. Or use some shredded vegetables to replace some of the ground meat. Replace the milk or water with tomato juice or beef or vegetable broth. Use soft fresh bread crumbs instead of oats, or replace the oats with about 1/2 cup of fine dry bread crumbs. For extra fiber, add a few tablespoons of oat bran or wheat bran.